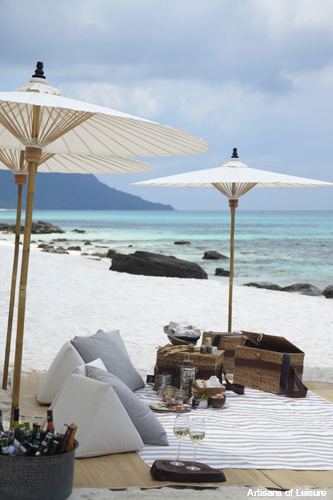 Song Saa is a great option for travelers wanting a Southeast Asian island retreat that’s off the beaten path. 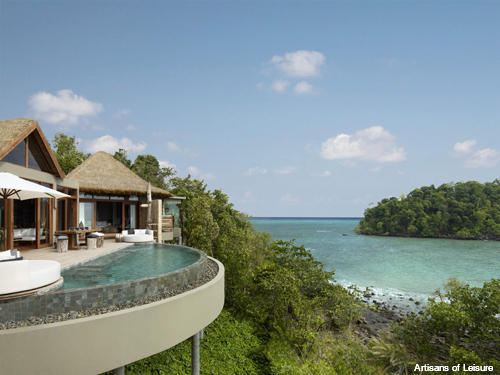 Cambodia’s first (and only) luxury island resort sits on a pair of private islands in the Gulf of Thailand among beautiful, untouched nature. In addition to relaxing on the beach and in the spa, Song Saa offers several options for exploring its natural world—including rainforest and a marine reserve—at a leisurely pace. Kayaking and snorkeling are ideal ways to experience the marine conservation area, which is filled with coral, tropical fish, giant clams, seahorses and other sea life. Other activities include rainforest walks, bird-watching with naturalist guides, private yoga lessons, visits to local communities, spa treatments, and activities to learn more about Buddhism and Buddhist culture in Cambodia. A stay at Song Saa nicely complements cultural touring elsewhere in Cambodia, including the spectacular temple ruins of Angkor and the historic sites in Phnom Penh. Song Saa Private Island is featured in Artisans of Leisure’s Romantic Cambodia tour, and can be incorporated into any of our other luxury Cambodia tours.